Episode 73 of The Independent Characters sees us exploring the dark corners of an even darker universe as we delve into Dark Heresy the Role Playing Game! Much of our background comes from roleplaying games and we have waited quite awhile to cover this game. We were fortunate to get one of the former authors of the game, and former host of the Dice Like Thunder Podcast, Mack Martin, to run us and a few friends through an adventure to add to our experience with the game, prior to recording. 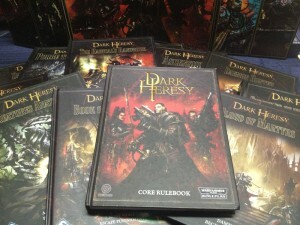 Dark Heresy is a roleplaying game based upon the universe of Games Workshop’s Warhammer 40,000. In Dark Heresy players take on the roles of Acolytes of the Inquisition, aiming to uncover and combat the enemies of mankind, be they aliens, heretics or mutants! 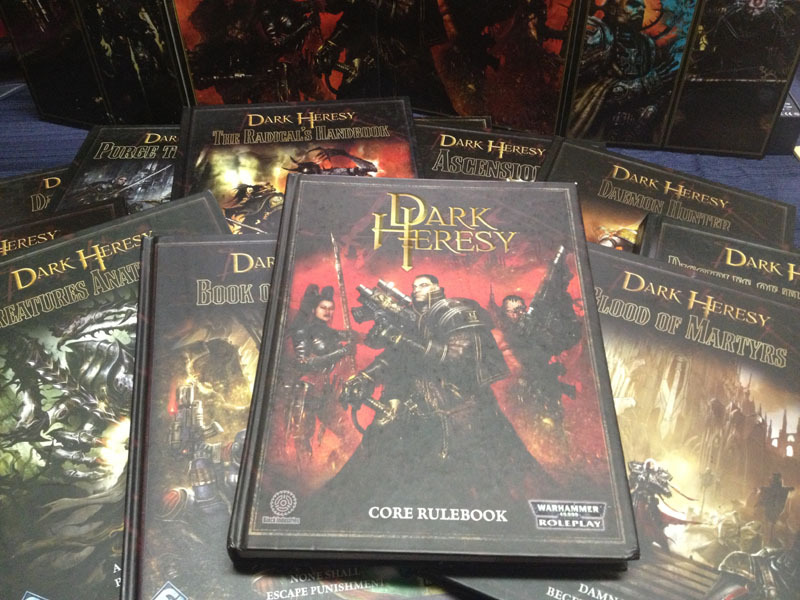 On top of our usual Workbench and Games Played segments, we discuss the setting and background of Dark Heresy, give an overview of the rules, and talk at length about the product line and support that Fantasy Flight offers. If you have enjoyed the writings of Dan Abnetts Inquisitor series of novels, then this might just be the roleplaying game for you. And as if that wasn’t enough! We finally have our Forbidden Lore segment on John French’s, Ahriman: Exile! Major spoilers in this bit, so if you haven’t read it yet – you may want to end the show before we get to this point.